Improving the festival’s image after the crisis; increasing the number of visitors. Counselling on the selection of artists and additional events. Development of a promotional strategy and its comprehensive implementation; media relations; advertising activities; social media; non-standard initiatives. The activities were designed to reach all reggae music fans, but also to go beyond the narrow target group and attract new audiences. 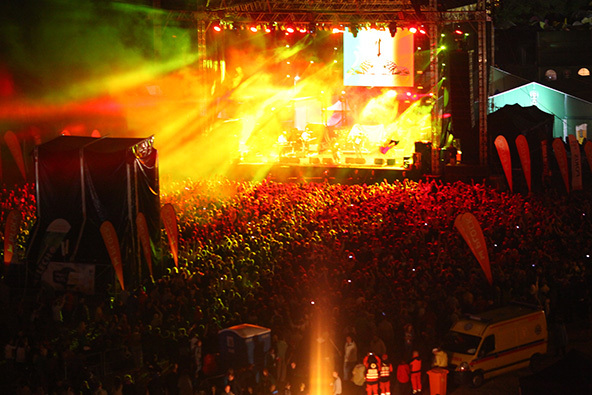 Doubling the number of participants in 2012 (11,000) and its subsequent increase in 2013 (12,000), thus making Reggaeland the largest reggae festival in Poland. The event has also been ranked among the ten largest ticketed music festivals in the country. Thanks to a clear message and extensive media coverage, for the first time the festival managed to attract a varied audience, and not only reggae fans. Through a development of a programme of additional activities (workshops, children’s area, reggaebus, facilities for families and disabled users), the festival garnered very favourable reviews. The advertising equivalent value in 2013 exceeded PLN 1,100,000.